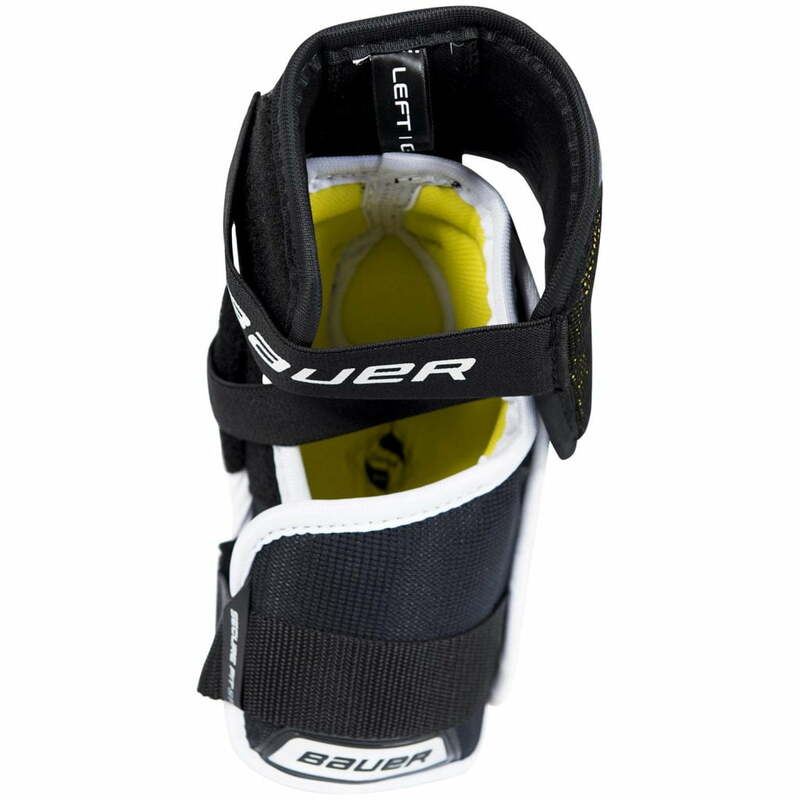 Bauer Supreme Elite “Exclusive” Junior Elbow Pads | Sports Etc. 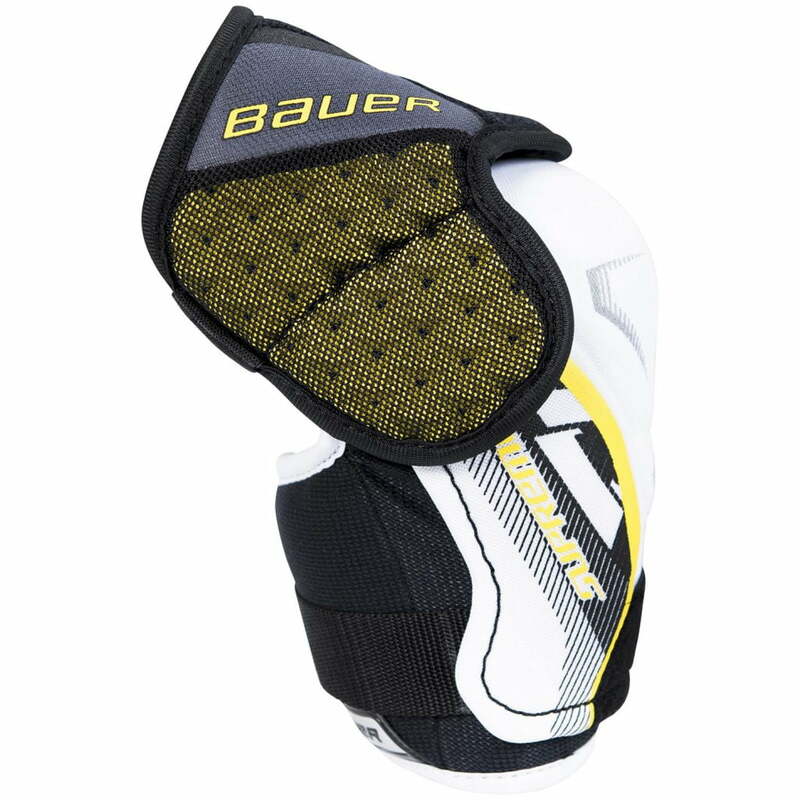 The Bauer Supreme Elite Hockey Elbow Pad strategically adds protection while still keeping value top of mind. 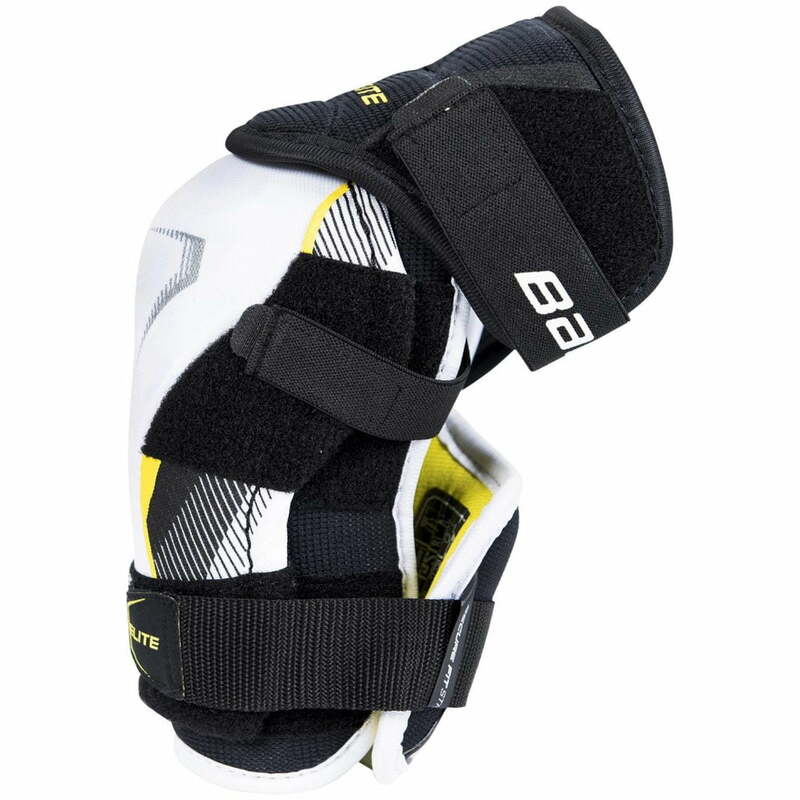 The hockey experts have extended the protective area of the elbow pad so your upper arms are less exposed during the game. 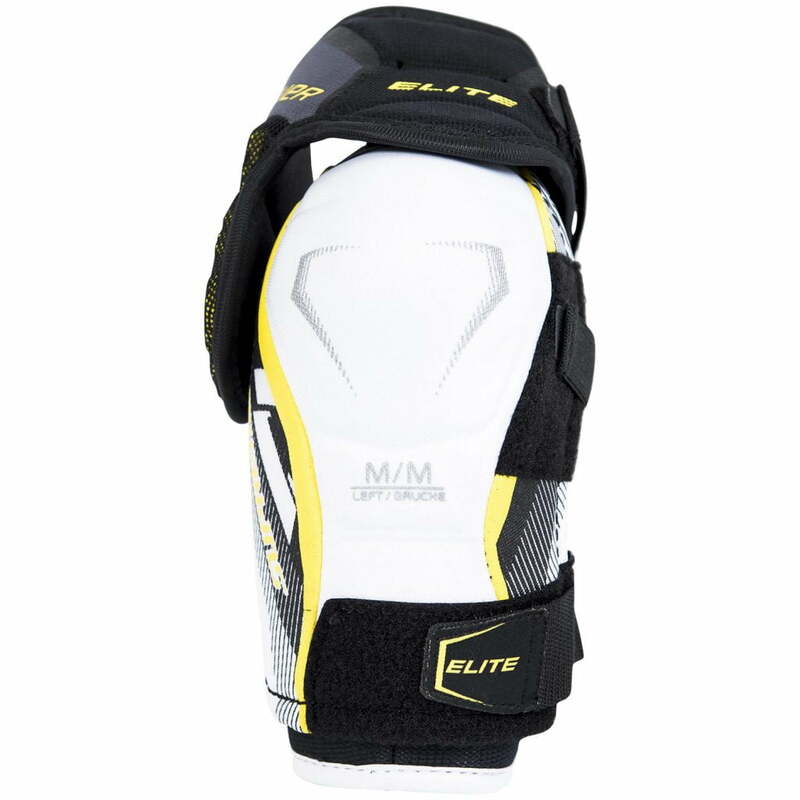 On top of the exceptional features that the Supreme 150 offers, a PE insert was added to the bicep flawlessly giving you even more protection at the precise point where the shoulder pad would normally finish up. 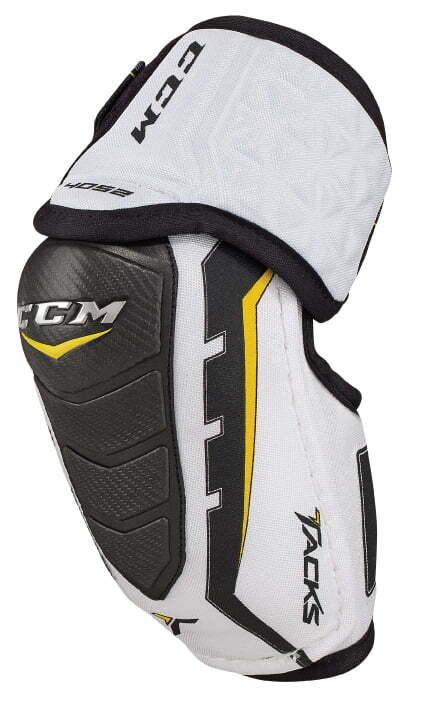 Not leaving any part of your body exposed is what the Supreme Elite Hockey Elbow Pad is all about. Value and comfort are simply bonus features of this elite piece of protective equipment. Sports Etc Performance To Value Rating– 9 out of 10. Excellent value elbow pad. Protective enough for any low to mid-level player. CAPS: Joint discharge PE cap helps to disperse the force of impact away from sensitive elbow joints. BICEP: Molded foam armor bicep for a high level of protection. ATTACHMENT: New lock strap with reinforced Lycra for an enhanced comfort and a fully customizable fit.